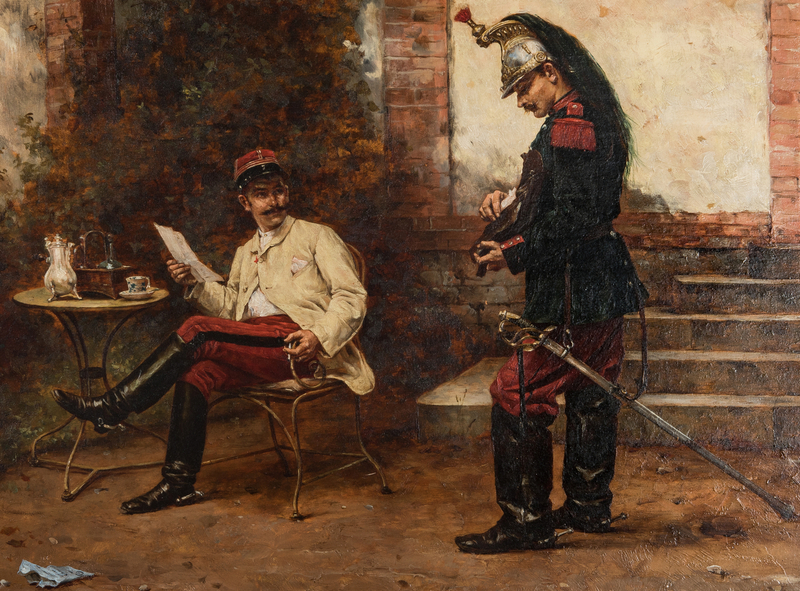 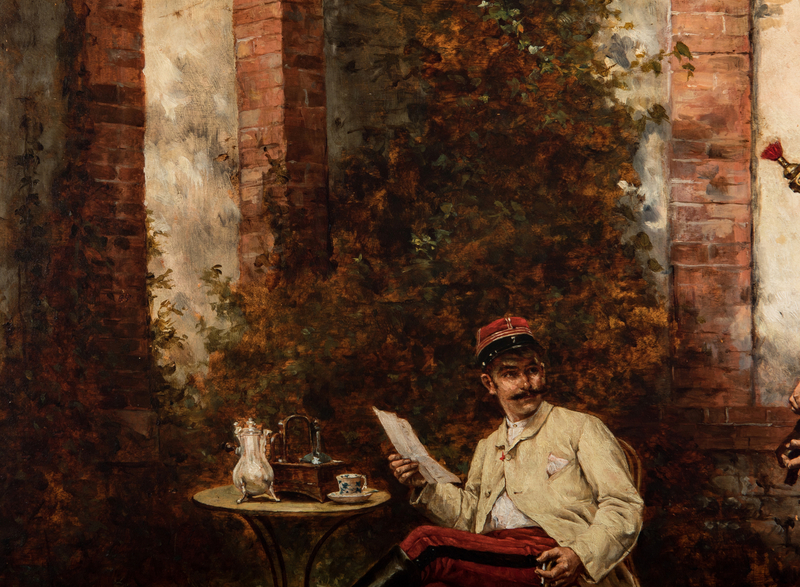 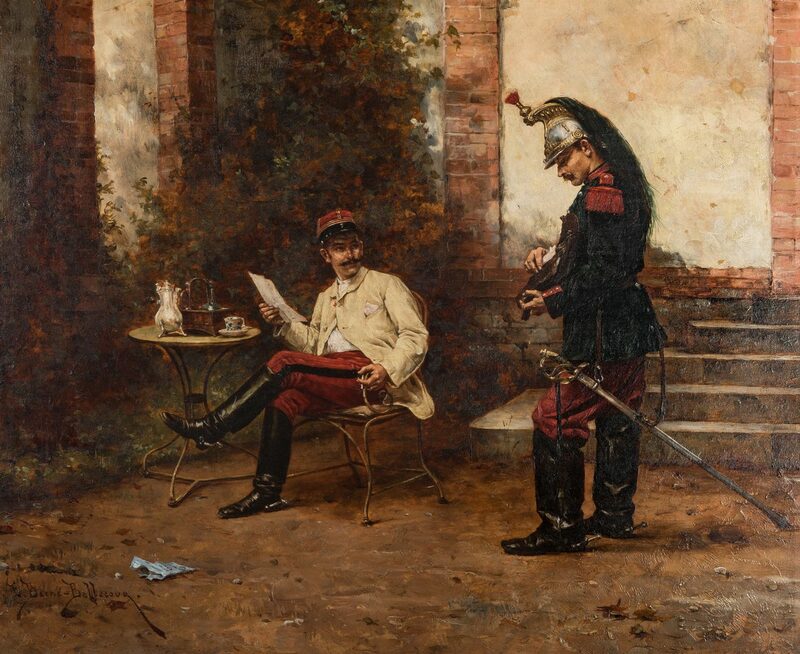 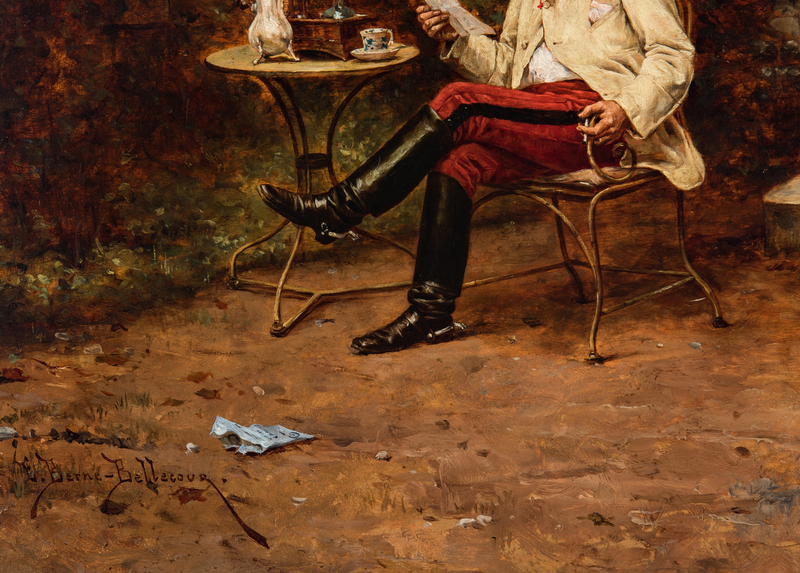 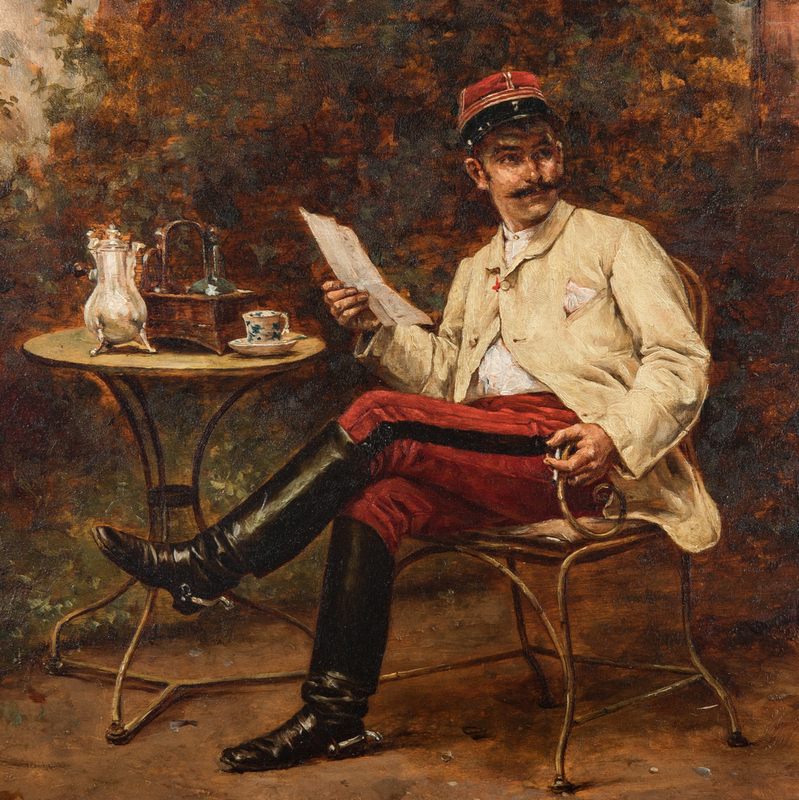 Jean-Jacques Berne-Bellecour (French, 1874-1939) oil on board painting depicting a soldier delivering a message to or preparing to take dictation from an officer, who is seated at a table on a terrace having tea. 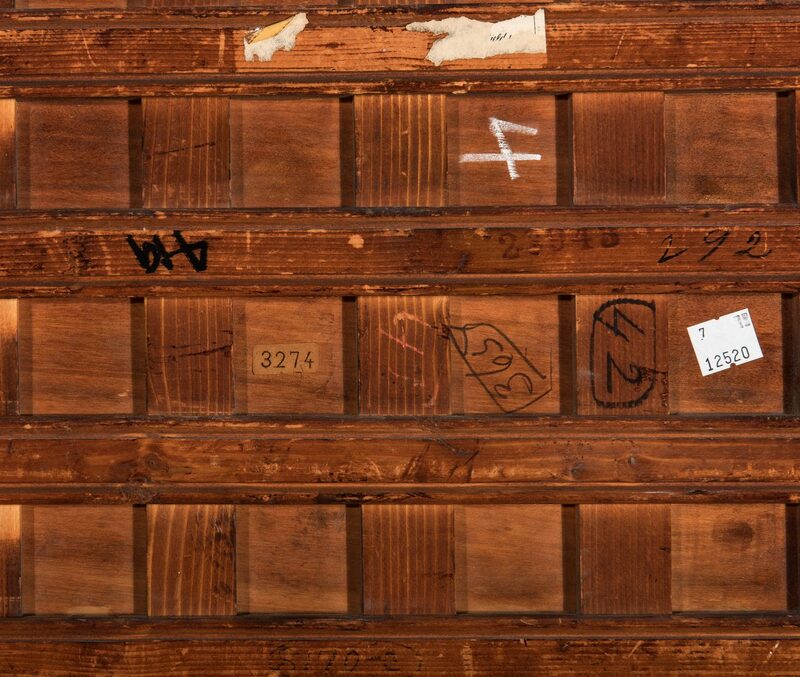 Signed lower left. Housed in a later carved, painted and giltwood frame. 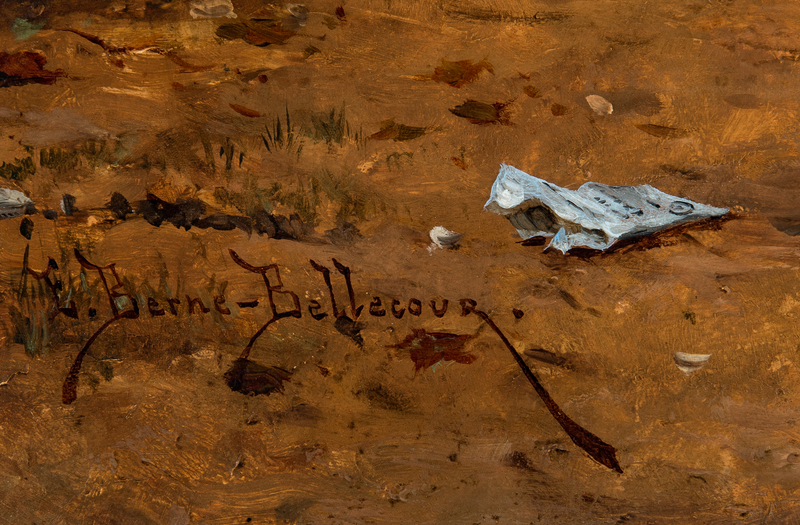 Sight – 13 1/2" H x 16 1/2" W. Framed – 20 1/2" H x 23 1/2" W. Biography: Jean Jacques Berne-Bellacour studied with his father Etienne Prospect Berne-Bellecour, also a famous military painter, and at L'Ecole des Beaux-Arts. 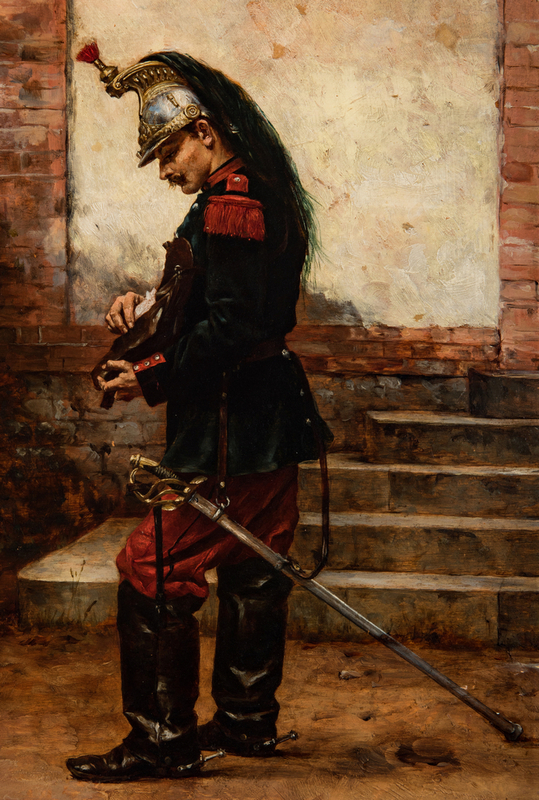 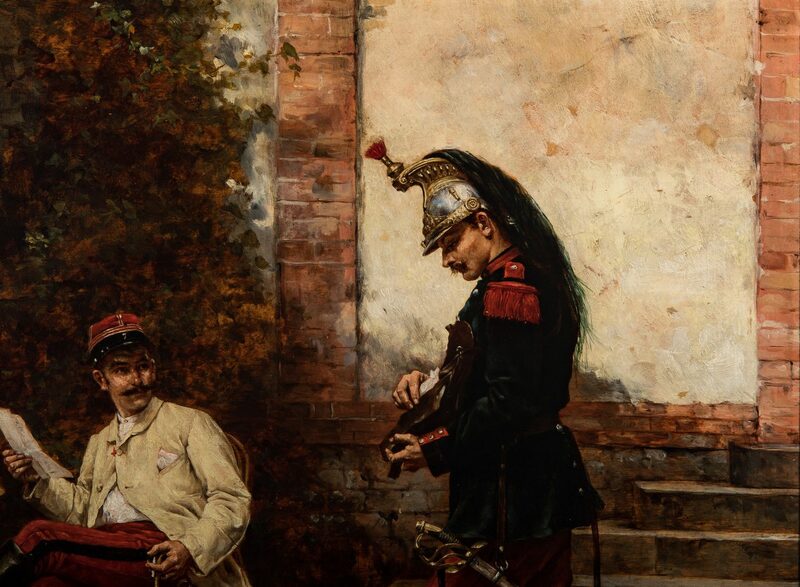 He was a favorite pupil of the famous 19th century French military painter, Edouard Detaille, and received acclaim for his paintings depicting the events of the first World War. 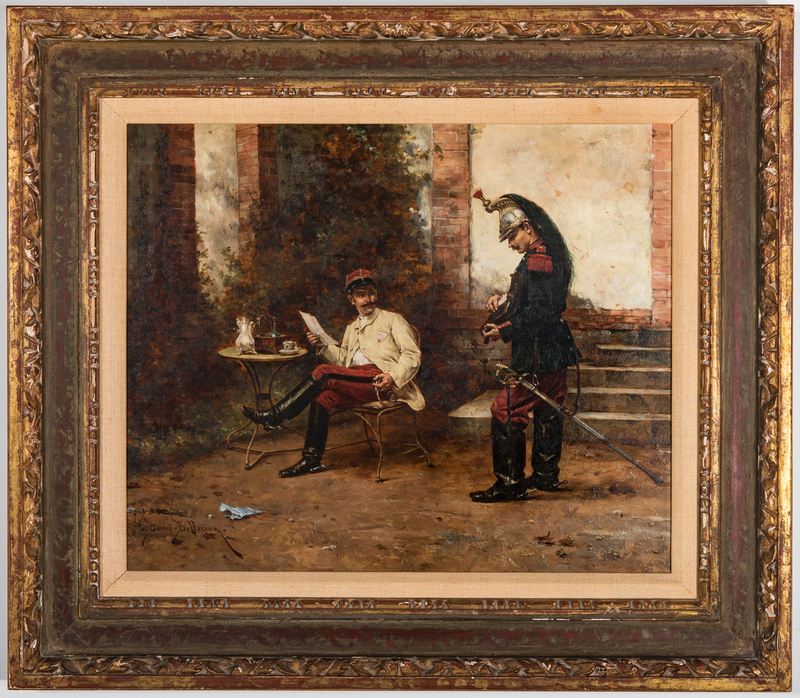 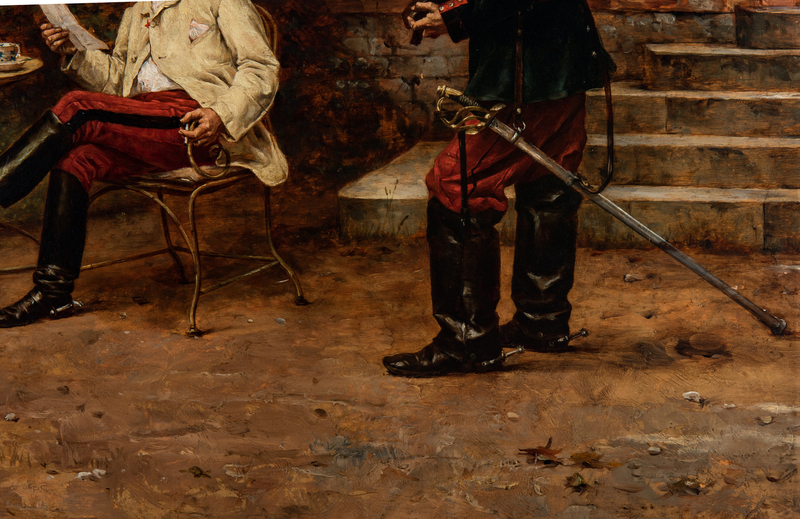 Provenance: Private Southern collection of Military Art. 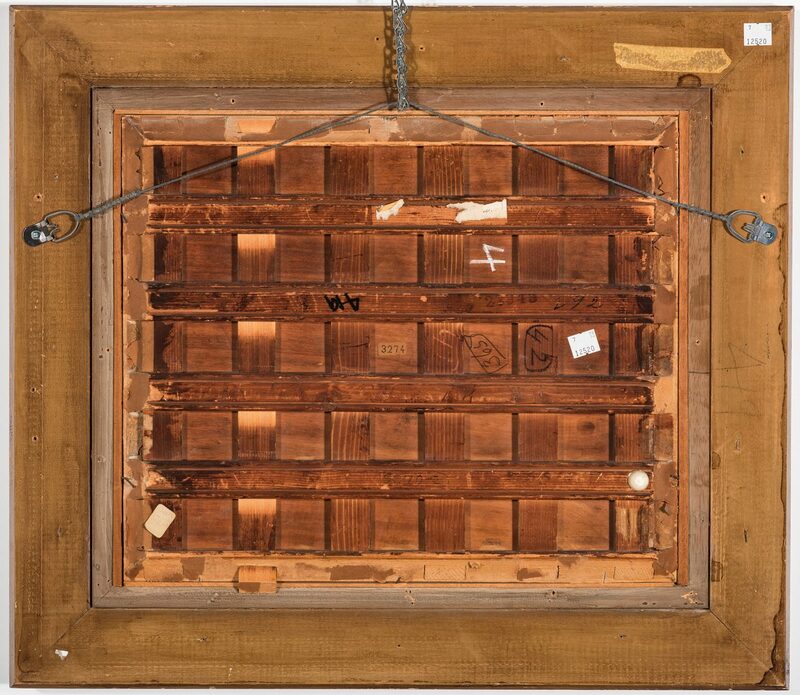 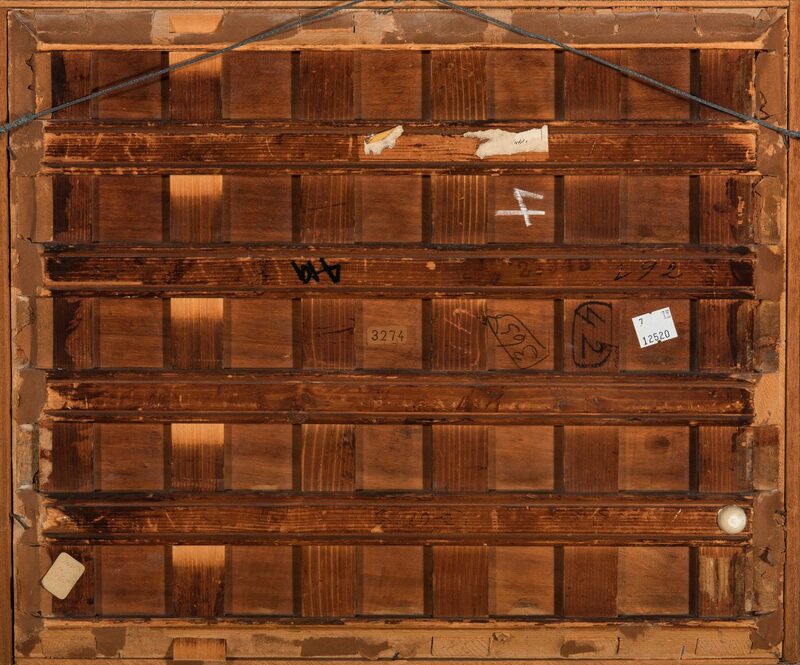 CONDITION: Cradled panel; overall very good condition with minor scattered inpainting, largest 1/4"L., to upper right corner and lower left side.